Find out why so many adventure-seeking visitors continue to choose us for their off-road mountain adventures and UTV rentals by calling us today. Our convenient location allows us to offer you quick access to your UTV of choice and ATV riding trails, getting you off on your mountain adventure without a hassle! When it comes to renting an ATV, side x side UTV for 2, 4 or 6-people, we’ve got the on and off-road transportation needed to navigate our surrounding forest. We're conveniently located in the center of Pagosa Springs and our fleet is meticulously maintained to ensure a safe and reliable trip into the backcountry. 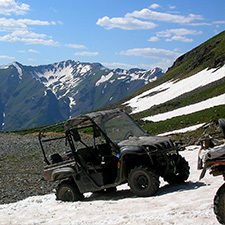 Only Pagosa Adventure Rentals offers “Night Before” pick up for all ATVs and UTVs rentals. This feature allows you to transport and prepare for your off roading adventure the night before and maybe even go for a night ride. You get three times more rental time for the same price as our competition’s daily rental rate! Between our "in town" location, and "night before" pick up policy, you'll spend more time exploring the mountains and less time towing when you choose Pagosa Adventure Rentals. We invite you to take your next visit to Pagosa Springs to the next level by renting an off road vehicle including ATV / UTV from Pagosa Adventure Rentals LLC. 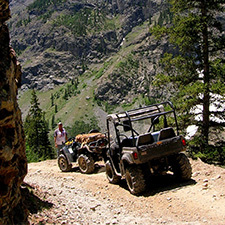 Offering UTV and ATV rentals for self-guided tours, Pagosa Adventure Rentals allows you the freedom of fully engaging with the surroundings of both the San Juan and Rio Grande National Forest at your own pace. There are over 1,000 miles of trails and roads that can only be accessed by ATV / UTV. When you choose to explore the region on your own, our local expertise of the area will ensure that your excursion is hassle-free and convenient. 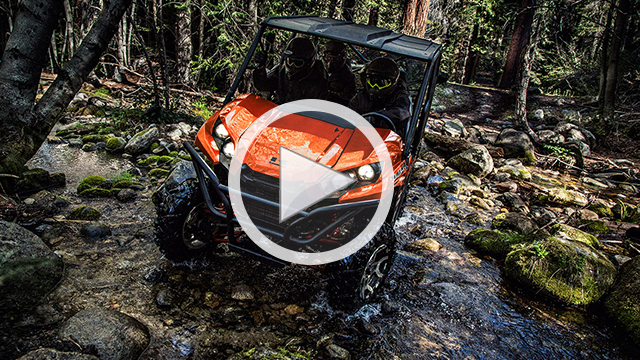 By maintaining our fleet of 2017 ATVs / UTVs at the highest level, fueling them up and equipping them with detailed trail maps and onboard satellite messaging / tracking, you will have everything you need to safely explore the backcountry. Find out why so many adventure-seeking visitors to Southwest Colorado continue to choose us for their off-road mountain adventures by calling us today.